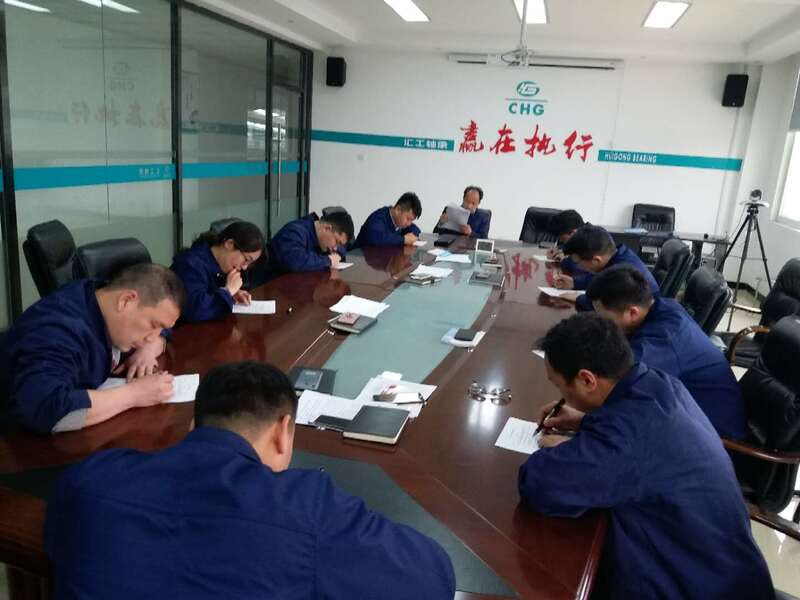 On April 4, 2019, in order to improve the marketing staff's business skills(bearings product knowledge), Huigong Bearing conducted a special examination on the business training content of the first quarter .. The marketing staff and marketing backbone who take part in the training examination should prepare carefully and answer the questions carefully. The company's leader, General Liu and General He, came to the scene for guidance, and made on-site announcements and comments on the test results after the test. In the next stage, the company will normalize the periodic evaluation of staff training to test the effect of staff training, promote the continuous improvement of staff skills, and adapt to the development requirements of the company in the new era.